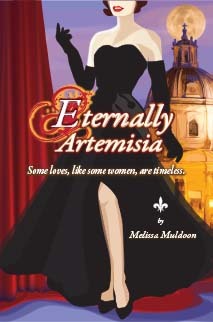 “Dreaming Sophia,” “Waking Isabella,“ and “Eternally Artemisia“ are three novels set in Italy that celebrate Art and Creativity. They tell the stories of three distinct women and their journeys of self-discovery to find love, uncover hidden truths, and follow their destinies to shape a better future. 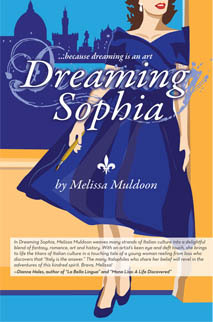 Dreaming Sophia – Because there is an art to dreaming. Explores and asks: where does creativity come from? It celebrates the idea of believing in something so passionately and envisioning it so clearly that it becomes a reality. 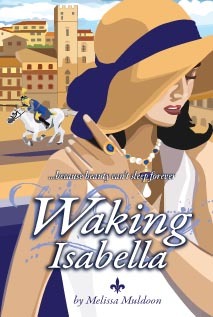 Waking Isabella – Because beauty can’t sleep forever. Explores what happens when ideas and art are suppressed. It celebrates the notion that beauty is all around us and no one person should dictate what beauty means for another. Explores the idea that art is timeless. It Celebrates the idea that when we dare to take control of our destinies and find the thing we are most passionate about we are limitless.